This is a flashy trumpet solo that is often heard in concert, recital and competition situations. The brisk tempo combined with bursts of double tonguing have made this a popular technical showpiece with trumpet players all over the world. 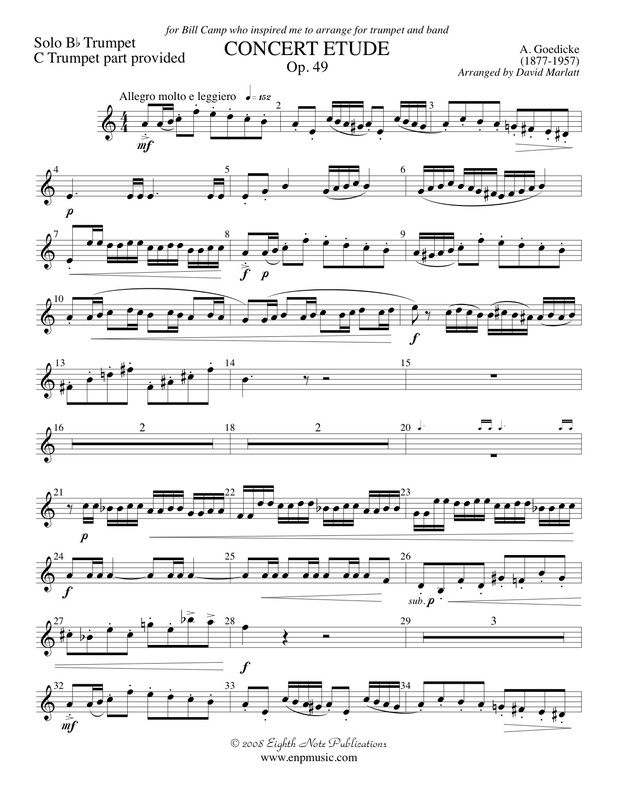 This work is on many contest and festival lists and many high school players choose to perform this as an audition piece for college / university. Originally scored for trumpet and piano, the use of a full concert band rather than piano adds a whole new depth, timbre and color to the sound.